Industrial cooling towers should be located away from other industrial machinery in order to allow the heated air to escape into the atmosphere and not be drawn back into the working fluids. 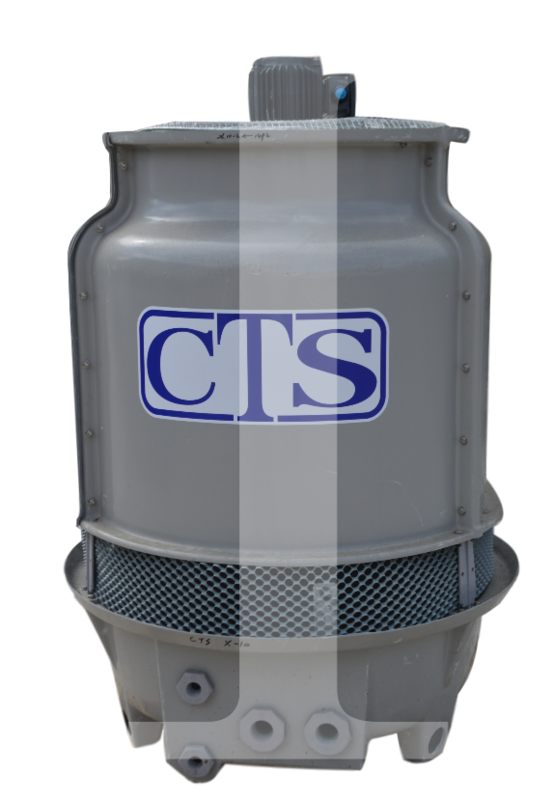 Industrial Cooling Towers – Cooling Tower Systems, Inc. 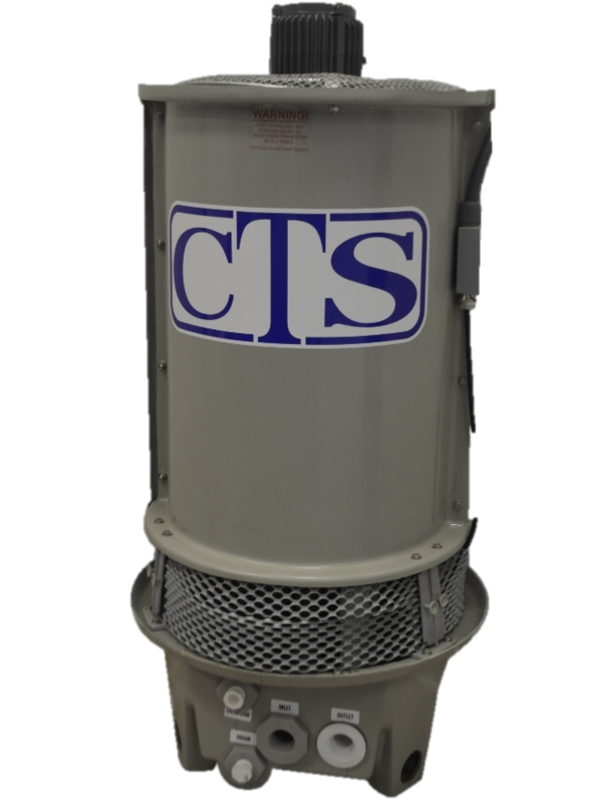 Designed to be operated year-round, industrial cooling towers are generally much larger and longer-lasting than HVAC cooling towers, which are also known as commercial cooling towers. Sizes of industrial cooling towers can range from small roof-top units to very large hyperboloid structures. The basic design of industrial cooling towers is of a water tower and a water reservoir pumping system. However, there are a multitude of industrial cooling tower designs available for industry-specific applications. Numerous industries, including water/wastewater, nuclear power, food processing, chemical, electric, pulp and paper, petroleum and plastics industries, utilize the products made by cooling tower manufacturers to reduce heat in industrial facilities and systems. Industrial cooling towers are beneficial for cooling fluids, particularly circulating water, used in a variety of industrial applications such as air conditioning units, dry cleaning, water treatment, oil refineries, fossil-fuel power plants, chemical plants and power generation. The basic cooling process begins when hot process water is fed to a cool water reservoir and then pumped to the process again. Heat in the process water is eliminated as spray nozzles distribute it over the wet deck surface. Air is simultaneously blown upward over the wet deck surface. As the stream of air flows past the heated water, the air absorbs the heat, which lowers the water temperature. The cooled water is returned to the process after being collected in the reservoir. Industrial cooling towers produce airflow through four different methods; natural draft, which uses the buoyancy provided by a tall chimney structure; mechanical draft, in which a power-driven fan motor is used; induced draft, which places a fan at the discharge to pull air through the tower; and forced draft towers have fans located on the side of the cooling towers. Fill pack is located on the wet deck surface and is the heart of most cooling towers. There are two types of fill: film fill and splash fill. In a film fill a thin layer of water is spread over several layers of closely-spaced plastic surface. In a splash fill water drops over multiple layers of horizontal splash elements and form droplets that cover a large surface area. There are four main types of industrial cooling tower systems. They are: counterflow, in which the air flow is directed opposite to the water flow; cross flow, in which the air flow is directed perpendicular to the water flow; open loop, the heated water is pumped into a tank at the top of the tower and water cascades down through a series of plates while cooling air is moving upwards; and closed loop, the cooling water is contained inside a closed tubing system and cooling occurs by running water over the tube housing the heated water. Industrial Cooling Towers Industrial cooling towers are heat rejection systems that are used for the cooling of water and other working fluids by means of removing process waste heat from the fluid and into the atmosphere.